Executive search veteran Tom Sorensen, one of Thailand’s top recruiters, brings local expertise and a vast network. Bangkok, Thailand, 15 June 2017 – Boyden, a premier global talent advisory and leadership solutions firm, today announced Tom Sorensen has joined Boyden Thailand as a Partner. “I am very pleased to have Tom join our team. He has for years built a strong corporate and personal brand as the person to go to for leadership recruitment. That he chose Boyden is a testament to our local and global brand as one of the world’s top talent advisory and leadership consulting firms”, said Boyden Thailand’s Managing Partner, Yupadee Yudhanaraweesak. Sorensen comes to Boyden with 14 years of executive recruitment experience at Grant Thornton Thailand, where he built a small, unknown recruitment firm into one of Thailand’s most recognised retained search firms. Prior to his career in executive search, Sorensen worked in Indonesia, East Africa, and in his native country of Denmark. He has been a permanent resident of Thailand for over 20 years. “I was attracted by Boyden’s business model, which combines retained search, interim management and human capital consulting. 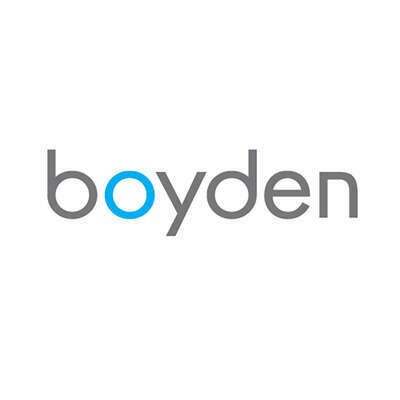 Boyden’s global platform brings a uniform approach to talent advisory and leadership recruitment, a common global technology infrastructure, and the world’s best CRM client and candidate software”, Sorensen said. Sorensen is an active blogger and columnist, and publishes thought leadership for websites, magazines and newspapers. He is also a sought-after public speaker in the Thai and international business community. He is a former president, chairman, and director of many organisations and committees including Danish-Thai Chamber of Commerce and Thai Board of Trade.